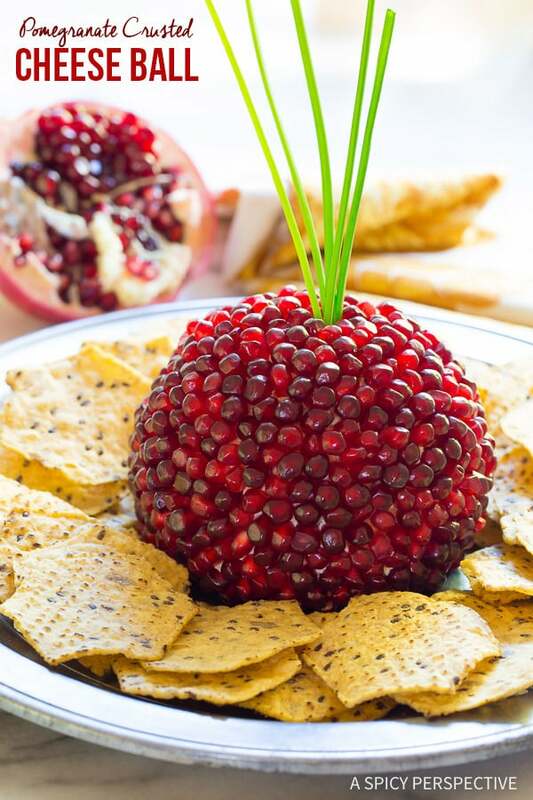 Pomegranate Cheese Ball Recipe – perfect for the holidays! This easy 7-Ingredient recipe is so delicious, and quick to put together. Plus it looks gorgeous! 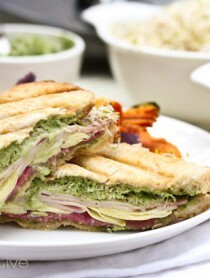 With all your holiday meal planning, it’s easy to forget about the appetizers until the last minute. We cook for hours to prepare the perfect dinner, only to remember 15 minutes before the guests arrive, that we don’t have anything to serve with pre-dinner cocktails. When your holiday guests walk into your kitchen (which is where everyone always ends up in my house) they are going to be greeted by a gorgeous jewel of a party snack, our Pomegranate Cheese Ball Recipe. This show-stopping appetizer is so easy to make, your kids or spouse could do it for you while you’re wrapping up dinner preparations. 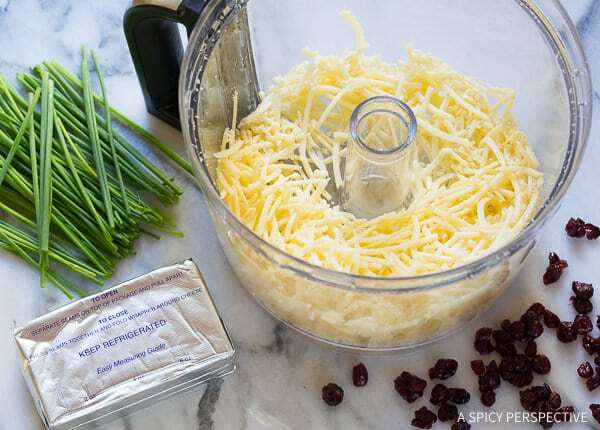 You simply place the cheese ball ingredients in a food processor. Roll the mixture into a ball. And cover the ball with pomegranate arils. What’s in a Pomegranate Cheese Ball? The rich creamy interior is speckled with tangy cranberries and chive, with a coating of perky pomegranate all around the edges for contrast. 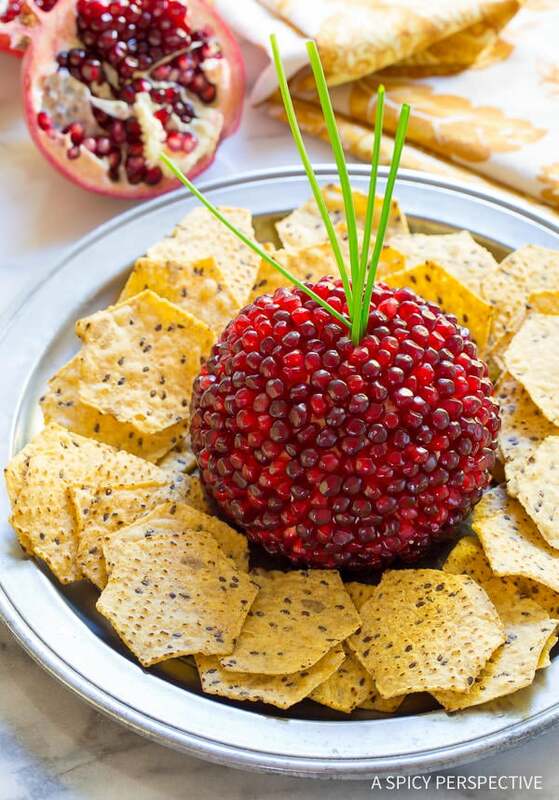 You can serve this Pomegranate Cheese Ball Recipe with crackers, chips, or cut veggies and allow your party guests to help themselves. The shimmering pomegranate crust is a tractor-beam of delicious appeal, drawing your guests back again and again. 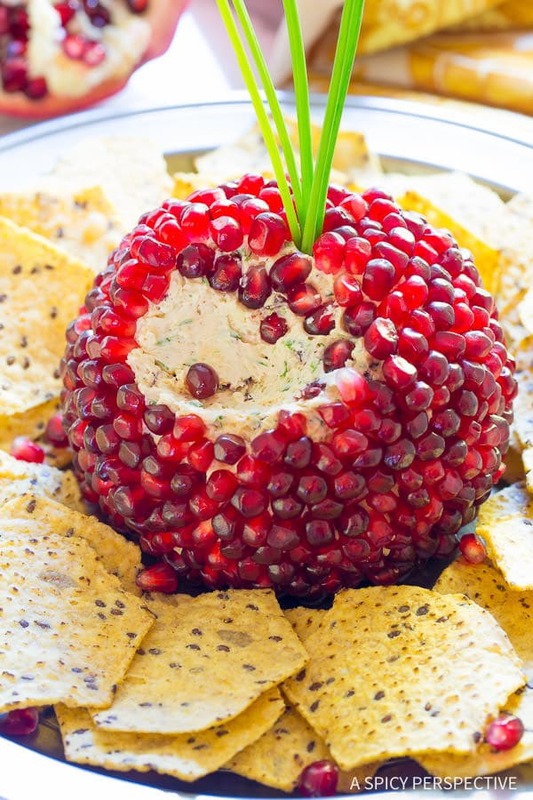 Can I Make This Pomegranate Cheese Ball Recipe Ahead Of Time? You can make this easy 7-Ingredient Pomegranate Crusted Cheese Ball several days ahead and refrigerate so it’s ready the day of your event. Just remember to sit it out at room temperature an hour ahead, to warm and soften, before serving. Of all our go-to holiday party snacks, this is a stand-out. Give it a try this year! 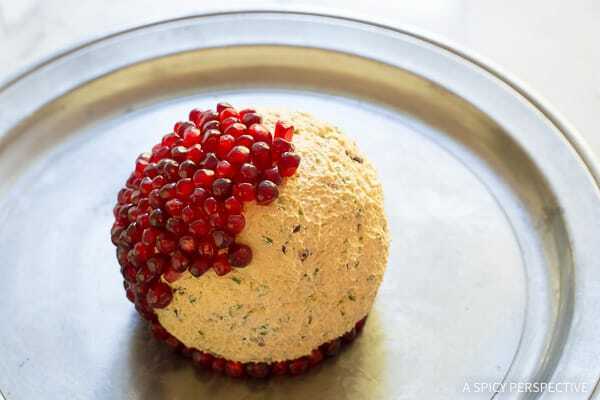 See the recipe card below for how to make Pomegranate Cheese Ball Recipe. Enjoy! 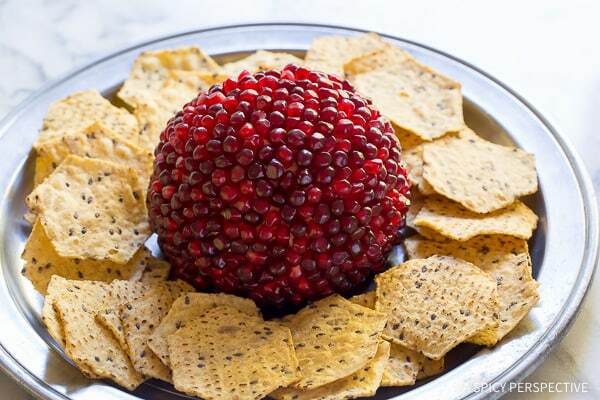 Pomegranate Cheese Ball Recipe for the holidays! This easy 7-Ingredient recipe is so delicious, and quick to put together. Plus it looks gorgeous! Place the cream cheese, shredded cheddar, Worcestershire sauce, and cayenne in the food processor. Pulse to combine. Then add in the cranberries and chive and pulse again until evenly mixed. Scoop the cheese mixture out of the food processor and form into a ball by hand. Place on a serving platter. Remove the arils from the pomegranate and press the pointed ends into the cheese ball, covering completely. Cover and refrigerate until ready to serve. Set out an hour before serving to soften. 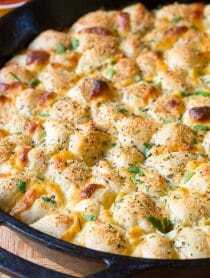 Place a few extra pieces of chive in the top if you want it to look like it has a stem. Serve the cheese ball with chips, crackers, or cut veggies. 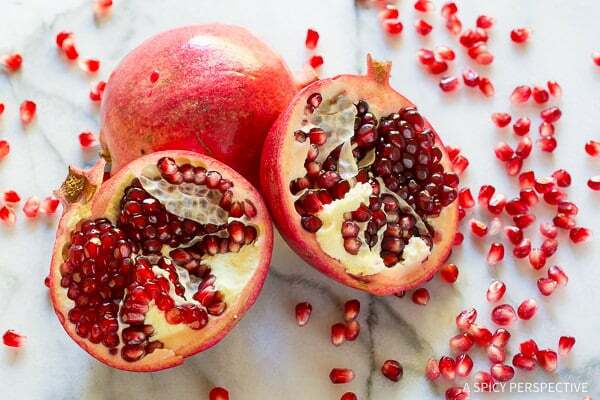 Quick Tip: Nowadays you can find pomegranate arils already removed from the pods. Look in the refrigerator section of the produce department! Oh my, I inserted the arils individually and it took forever! (any tips?) Also getting them out of the fruit was more difficult than I thought it would be. Hope people like it, Christmas is tomorrow. The dip is delicious of course. Thank you! This Cheeseball is DELISH! Everyone loved it! Thanks for sharing! This looks like it’s JEWELED!! It’s so beautiful, and I’m sure it tastes incredible, too! I have never tried making a cheese ball before, but I really want to now. This is gorgeous!! WOW this is so cool looking! and the pop of the pom seeds is perfect with cheese! This is SO cool! It looks like a little jewel! Whoa! So gorgeous – a perfect holiday appetizer! Ok, now that is just beautiful!! This is absolutely beautiful & so creative!! 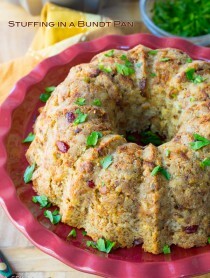 What a fun and delicious cheese ball! So festive! Love me some cheese balls, but this version is gorgeous!